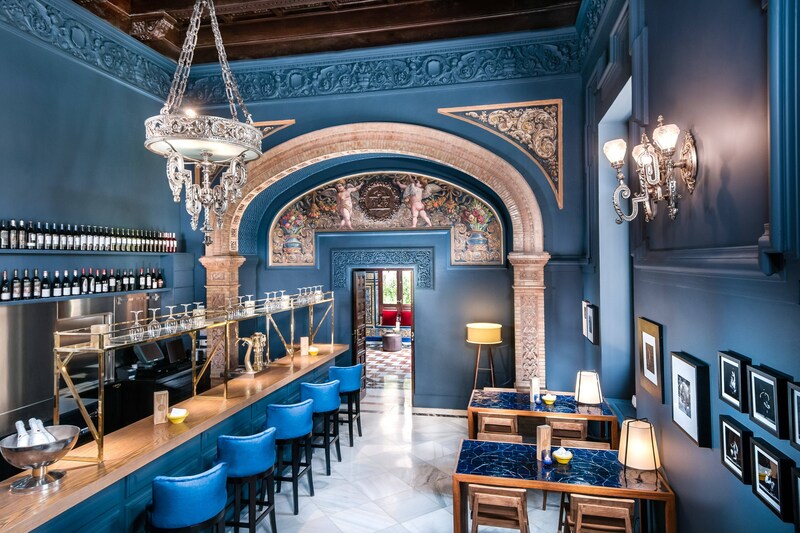 Discover the dining experiences at Hotel Alfonso XIII, a Luxury Collection Hotel: Authentic Andalusian cuisine is served in Restaurante San Fernando, while ENA by Carles Abellán specializes in Catalonian and Andalusian dishes to share, tapas, cocktails and wines. 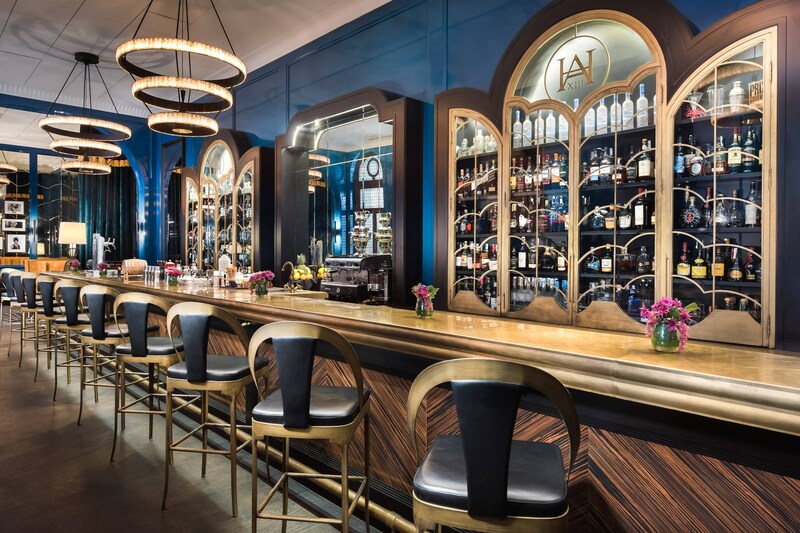 Inspired by the hotel’s heritage, Bar Americano, offers a choice of masterfully mixed cocktails in an Art Deco setting. 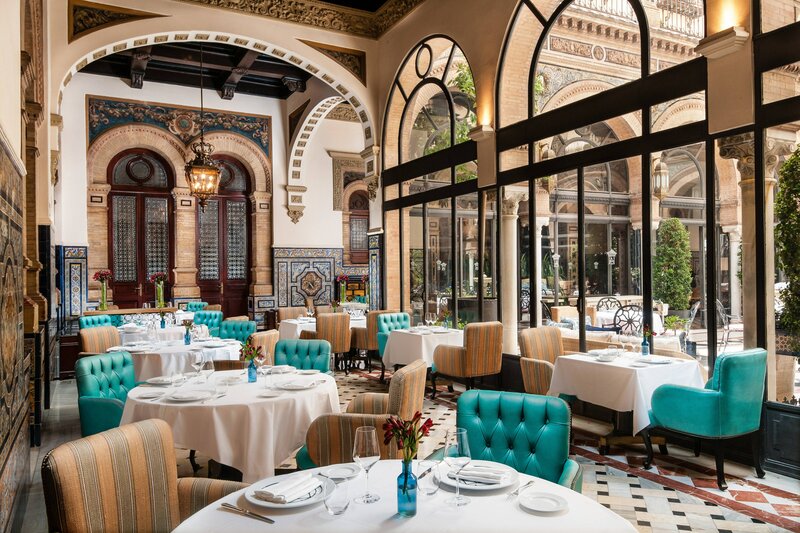 Located in the magnificent colonnaded Andalusian-style courtyard, Restaurante San Fernando provides a unique experience in the heart of Seville. Savor a selection of modern interpretations of Spanish classics to be married with an extensive wine list. Fronted by celebrated chef Carles Abellán, Ena is a space for tasting aperitifs, sharing tapas, and sipping cocktails and wines, where the Catalonian and the Andalusian culinary personalities are uniquely and exquisitely merged. The elegant Art Deco style of Bar Americano immerses in the splendor and romanticism of past times. Its inspiring atmosphere and 10m long bar invites to savor an aperitif before dining or to discover the unique combinations curated in its cocktail menu. The pool restaurant offers a selection of exquisite light snacks and refreshments. 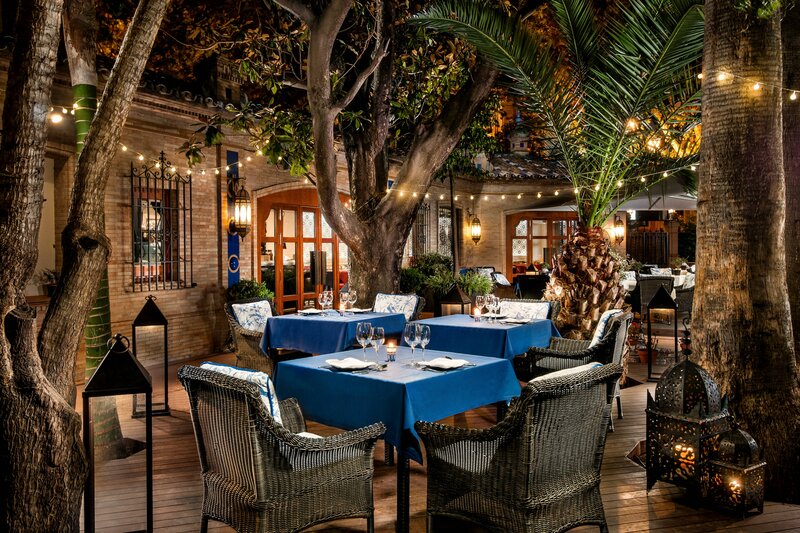 Food choice includes delicious fresh salads, prawn ceviche and the Alfonso XIII´s burger. The long list of cocktails is ideal to be savored on the comfortable loungers. TOBY eats the world is a new concept of Italian-American restaurant that goes beyond a simple catering service, turning the visit into an experience. We are dog friendly! We are great for a scenic view, large groups, local cuisine, special occasions, kids, business meetings and families with children! Share with friends, with family or even with someone you just met. In our restaurant we are aware that the company is as important as the gastronomy itself and that is why we design experiences to share, and what better than with a dish in the center . Come enjoy some delicious tapas! The Treasurer&apos;s House is much more than a downtown restaurant in Seville; It is a historical relic with the discovery of the bronze tower. Located in the premises of the former Royal House of Mint.